Image number 4 from page 40. View of Old Main and adjacent house in background. 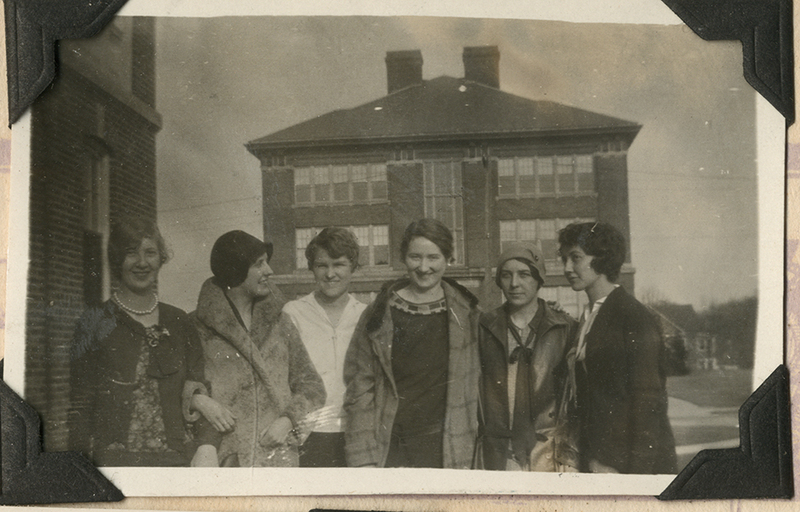 “6 Women posed outside of Fairfield Hall.” Florence Anderson Scrapbook. 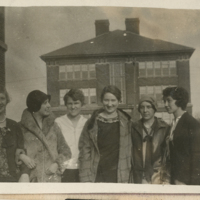 WCSU Archives, 10 Oct. 2018. Accessed on the Web: 23 Apr. 2019.